One of the unique qualities about The Deck is that it is designed by Chef Sabyasachi Gorai himself. Lavaash has been winning hearts with its fabulous food and ambience for a while now with its Armenian-Bengali cuisine. The Deck at Lavaash by Saby has opened its doors to the public. It is curated with very casual yet comfortable seating, beautiful new interactive live kitchen, a very chic cafe style Armenian menu and modern cocktails with an extremely reasonable and affordable menu. 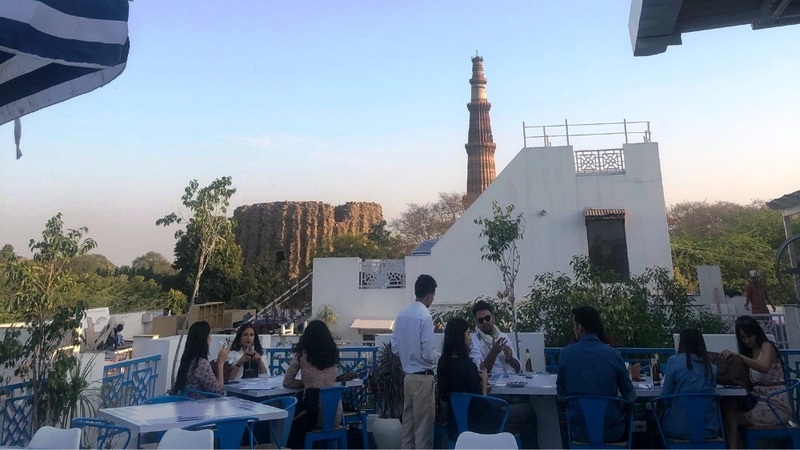 Speaking to the owner and ringmaster at Lavaash, well-known chef Sabyasachi Gorai says, “The deck is made to resonate with the history of the Qutab ridge, a place of historical importance where the serais were housed around the Qutab Minar. We are also one of the serais now. So, when we got the chance to build a deck overlooking the Qutab and the Alai Minar both, we did it as it’s a rare view to see both the Qutab Minar and the Alai Minar together. Taking a step forward in terms of ensuring that The Deck remains a cut above the rest, it will go on to “host events like art shows, book launches, corporate lunches, team building workshops, culinary demos and masterclasses, curated dinners, product launches and the usual cocktail parties and dinners,” as per chef Megha Kohli.